A Cisco Unified Call Manager (CUCM) is, as the name implies, a system of Unified Communications. It features IP telephony for both voice and video calls, as well as unified and instant messaging. With its own mobile app, it’s ready to be used by all your workers no matter how remote they may be. Also, the Call Manager can function on a global level and allows a slew of third-party applications to work with it as well. The best part is, while it may seem like something that should cost an arm and a leg, it doesn’t. The name Cisco alone might have you scared, thinking that you’ll have to shell out a six-figure salary for a Cisco-Certified Internetwork Expert (CCIE) on staff. Having to pay so much for a single person to run your communications is certainly a cost that outweighs the benefits. Still, without an expert, what can you do about the complexities the system presents? How can you keep your business running at full capacity and maintain your IT agility? Even with a CCIE, you’ll still need help. Fortunately, a managed services provider can help. Whatever your business might be, time is one of your most precious resources. You and yours simply don’t have time to run about doing rudimentary clerical work on your system when there are always more pressing matters at hand. It’s important, then, that your system can maintain a kind of self-sufficiency. A CCIE could make sure of this, but as mentioned before, that CCIE is a huge (well into the six figures) investment. There’s no need to take such a big bite out of your payroll when a managed services provider can do the same for much less. There’s a good chance that your business employs its own team of engineers. Even if that isn’t what they’re called, you certainly have some group of people that you’ll need to keep in communication with. Their work is essential to the operation, and a CUCM can help make that easier and more efficient. A CUCM can also help standardize ITIL methodologies and best practices, making things more efficient for all your employees at little cost. It might still seem too good to be true, having an efficient, functioning CUCM with no CCIE on hand. One of the best things about running a CUCM with a managed service provider like Continuant is the equal level of expertise available. Our team includes a host of tried-and-true Cisco experts with years of experience dealing with the brand’s various products and technology. These are experts that will always be available, nothing if not helpful, and substantially cheaper than hiring your own in-house Cisco guru. Another helpful thing about this system is that it works both in the cloud and on-premises. While you may want to take advantage of all the miracles of modern technology, sometimes budget constraints can prevent this. Thankfully, without the need to spend extra on expertise thanks to managed services, you’ll be able to get a much better system regardless of your budget. With Cisco’s enticing API on the market for cloud solutions, there’s never been a better time to catch up with technology. All in all, a CUCM can potentially reduce your regular expenses by as much as 40 percent and increase efficiency by as much as 60 percent. From those numbers alone, it sounds like you couldn’t ask for better. There’s no reason to worry about a limiting budget, as this deal will provide all the necessary value at a significantly reduced price. Still, there are other areas of concern worth addressing, mainly security and failure. As companies move to cloud-based unified communications, they become more and more integrated with one of the most terrifying and dangerous places mankind has ever known: the internet. Your business has a lot of information it needs to protect, information that the wrong people will make ill use of should they get their hands on it. Worse yet, being connected to the internet leaves openings for DDoS attacks, toll fraud, and other acts of malevolence. A new system can be vulnerable during deployment and comes with its own range of new weaknesses that attackers might exploit if they aren’t expected, predicted and identified in time. Luckily, Cisco managed services has processes to take to make sure this doesn’t happen. This includes not just protecting the system during deployment but also putting measures in place to eliminate security problems before they have a chance to become a threat. From advanced malware protection, to next generation firewalls, to adaptive security device managers, Cisco offers numerous products to keep your network protected. Being protected from outside attacks is all well and good, but what about internal collapse? 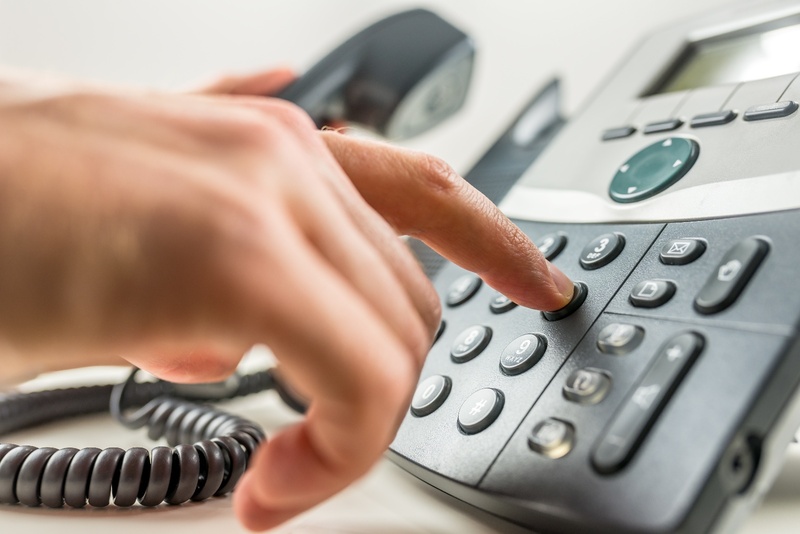 A customer of a third-party managed services provider would rely heavily on that provider to manage their entire UC environment, including phone, voicemail, IM, presence, audio, video, security, paging system, and emergency notifications. What would happen if this system crashed? A system failure could be detrimental to any business, and in the case of healthcare, lives are on the line. Part of managed services is providing constant, high quality support for your system to keep it running as best it can. It’s your provider’s job to be ready with answers to questions and solutions to problems if ever (and whenever) they arise. With the skills and resources available to keep the system running, you’ll have all the support you need. In a world where technology evolves rapidly, it pays to stay ahead of the game. Finding a system that can take advantage of the newest advancements and yet remain within your price range is a difficult task, but a CUCM with a solid managed services partner may very well be the best you can get.